With the Democratic Party in shambles and the DNC somehow always broke and demanding refunds from Hillary Clinton, Michael Bloomberg plans to peel off $80 million of his estimated $52 billion fortune to help Democrats retake the House of Representatives in the upcoming midterm elections, reports the New York Times, citing Bloomberg's advisers. The former New York City mayor will focus on a dozen or so congressional districts, primarily in moderate suburban areas where Donald Trump is less popular in order to help Democrats gain the 23 congressional seats needed to win a majority. 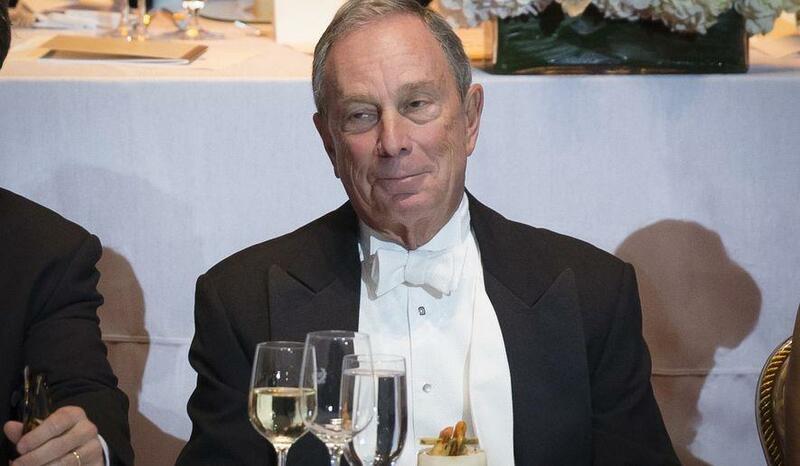 Bloomberg,76, a political chameleon who turned Independent in 2007 while still running for Mayor on the Republican ticket, has been a champion of various liberal policies such as gun control, immigration and the environment. He also tried to control the size of a soda New Yorkers could consume under the "Soda Ban" on sugary drinks in cups over 16 ounces - which was overturned by the New York Court of Appeals in 2014. Bloomberg spent millions to enact similar legislation in Chicago - except it was a tax and not a ban, only to have it repealed by city officials. The Times reports that Bloomberg hasn't chosen a specific list of races yet, however he is obviously not likely to target rural, conservative-leaning districts where his anti-2nd-Amendment history and other issues would likely turn voters off. Bloomberg's support will most likely make New York politics the centerpiece of the 2018 midterms, given the high profile politicians involved. The former NYC mayor is on track to exceed that of Republican donor Sheldon Adelson - a Republican Casino mogul who recently donated $30 million to a super-PAC aligned with House Speaker Paul Ryan. In the last election, for example, I spent nearly ten million dollars to help a Republican, Pat Toomey, get re-elected in Pennsylvania. I disagree with him on many issues. But after the Newtown, Connecticut shooting, he broke with the NRA and co-wrote a bipartisan bill to close the background check loophole. At the same time, I spent roughly the same amount to help successfully elect a Democrat in New Hampshire – Maggie Hassan – who was running to defeat a Republican incumbent who had voted against Toomey’s bill. This year, I'm supporting both Republican and Democratic gubernatorial candidates who have shown strong leadership on gun safety, the environment, education, and other critical issues facing the country. Republicans, who control both houses of Congress, have done little to reach across the aisle to craft bipartisan solutions – not only on guns and climate change, but also on jobs, immigration, health care, and infrastructure. As a result, Congress has accomplished very little. In fairness, some Republicans have taken their constitutional and legislative responsibilities seriously, like my friend John McCain. But too many have been absolutely feckless, including – most disappointingly – the House leadership. Republicans in Congress have had almost two years to prove they could govern responsibly. They failed. As we approach the 2018 midterms, it's critical that we elect people who will lead in ways that this Congress won’t – both by seeking to legislate in a bipartisan way, and by upholding the checks and balances that the Founding Fathers set up to safeguard ethics, prevent the abuse of power, and preserve the rule of law.